For you greatly appeared on a high throne in the world. Our Holy Father Kosmas was born at an unknown date of the eleventh century in Antioch, and was educated and resided in Jerusalem for a large part of his life, earning his geographic epithet. He entered the monastic life in Jerusalem before traveling to Constantinople where he entered the Monastery of Chora. He was elected and ordained Ecumenical Patriarch on 2 August 1075, even though he was quite elderly in age and just a simple monk, succeeding John VIII. Though he was not highly educated, he was pious and virtuous, simple and beloved. The most important synodal action taken by Kosmas was the condemnation, in 1076-1077, of certain heretical views taken by John Italos, a scholar connected to the Doukas family. He was charged with teaching the transmigration of souls, with holding some erroneous opinions about ideas, and with ridiculing the use of images in worship; and he is said to have succeeded in diffusing his heresies among many of the nobles and officers of the palace, to the great grief of the Orthodox emperor. 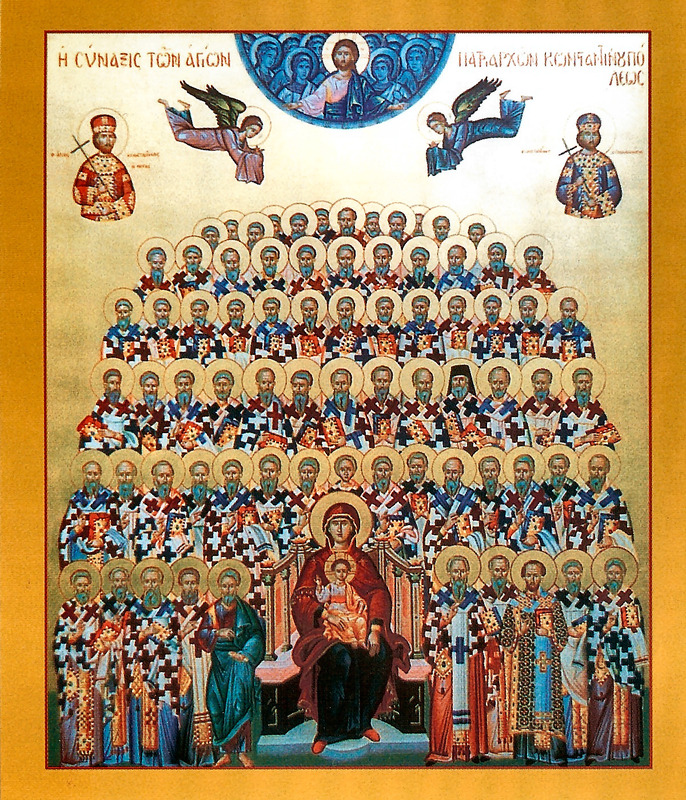 Kosmas also sent Metropolitan John to Russia in 1080. He crowned the Roman Emperor Nikephoros III Botaneiates in the Church of Hagia Sophia. Though he disapproved of Nikephoros' marriage to the ex-wife of the previous Emperor Michael VII, he took no further action than degrading the priest who performed the service. Later he used his influence to convince him to resign as his popularity declined and the empire entered a period of instability. This brought in the period of the Komnenoi Dynasty. Kosmas crowned Alexios I Komnenos in 1081. When Alexios attempted to repudiate his wife Irene Doukaina in order to marry the ex-empress Maria of Alania, Kosmas successfully blocked the move as she had already been twice married. Kosmas resigned or was forced out soon after, as Alexios' mother, Anna Dalassene, disliked Irene's link to the Doukas family and resented this interference. She further pressed for the resignation as she wished to place her favorite on the patriarchal throne, which she achieved with the appointment of the ill-educated Eustratios Garidas. According to Anna Komnene, Kosmas resigned voluntarily on the condition that he be allowed to crown Irene empress first, which he did and then left on 8 May 1081. He retired to the Monastery of Kalliou in Constantinople, and though he was asked to return to the Patriarchal Throne he refused, and he reposed in peace at an unknown date. He was buried at the Monastery of Chora and reportedly worked miracles, as he is known as a Wonderworker. In a more general sense, Kosmas' retirement is said to mark a period where, between Alexios I and the emperor Manuel I Komnenos, the Church was moved to a position of dependence on, identification with, and subservience to the state, reversing the greater self-determination the Church had exercised through the eleventh century. The historian John Skylitzes speaks poorly of Kosmas, suggesting that the emperor selected him for his lack of greatness, writing that after the death of the previous patriarch, Michael VII "chose another, not from those of the senate, nor from those of the Great Church, nor any other of the Byzantines famed for word and deed, but a certain monk Kosmas sprung from the Holy City, and honored by the Emperor... although he was without wisdom or taste...."